PLAYING THE ARCHIVE | D.A.R.E. 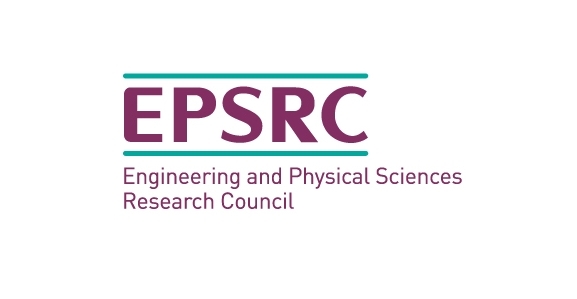 The project is funded by the EPSRC. It will digitise and catalogue substantia l sections of the Opie manuscript archive at the Bodleian Libraries, and work in partnership with the Digital Humanities Institute, Sheffield, who will host and design a new catalogue; design a virtual reality play environment based on the archive and install it at the V&A Museum of Childhood, London, and the Weston Park Museum, Sheffield; conduct studies of today’s play in schools in Sheffield and London: and build experimental ‘smart’ playgrounds in London and Sheffield. Details of the project staff and consultants can be found at the bottom of the page. The project builds on two earlier projects by members of the same team. 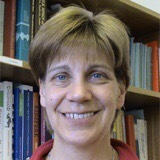 The first is Children’s Playground Games in the New Media Age (AHRC 2009-11, PI Professor Andrew Burn). This project digitised the Opie audio archive at the British Library, researched play in playgrounds, and produced the British Library website Playtimes (click on the image below). ‘Playing the Archive’ offers three approaches to these problems, each focusing on one of them. 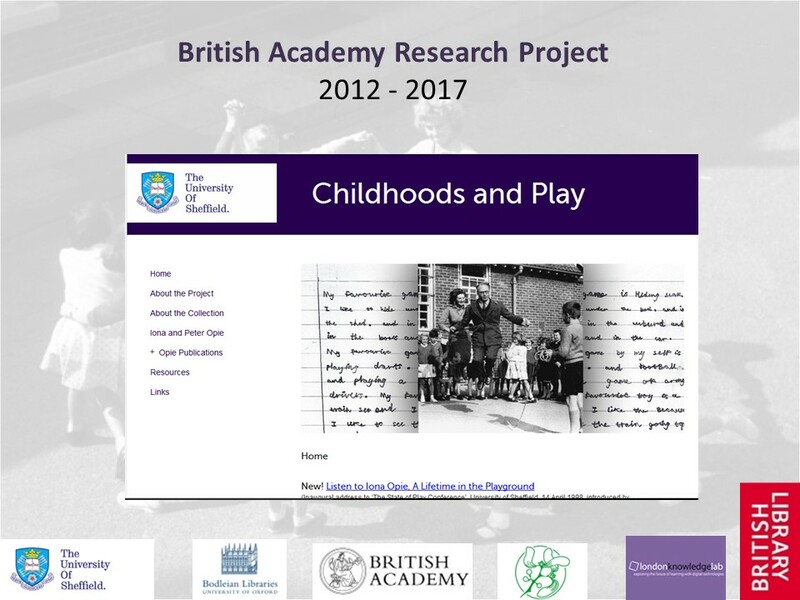 The first is to digitise and transform an important resource of cultural memory at the Bodleian Libraries: a collection of accounts of play from 20,000 UK children in the 1950s and 60’s by folklorists Iona and Peter Opie. One of the boxes of children’s letters from the Opie papers. See the Bodleian’s blog post on the development of the finding aid for the collection. Image courtesy of Bodleian Library, University of Oxford. 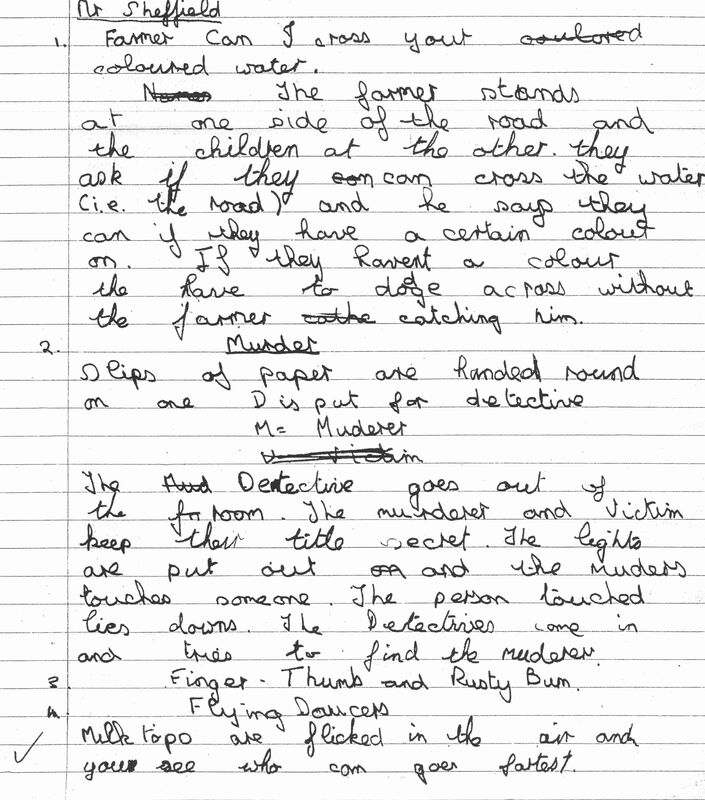 A game described by a child “Near Sheffield”. From the Bodleian Libraries’ Opie papers, University of Oxford. The project will create a virtual, immersive world enabling users both old and young to playfully engage with the archive, experiencing 1950-60s play as Virtual Reality, freely available to visitors at the V&A Museum of Childhood in London, and a partner museum in Sheffield. 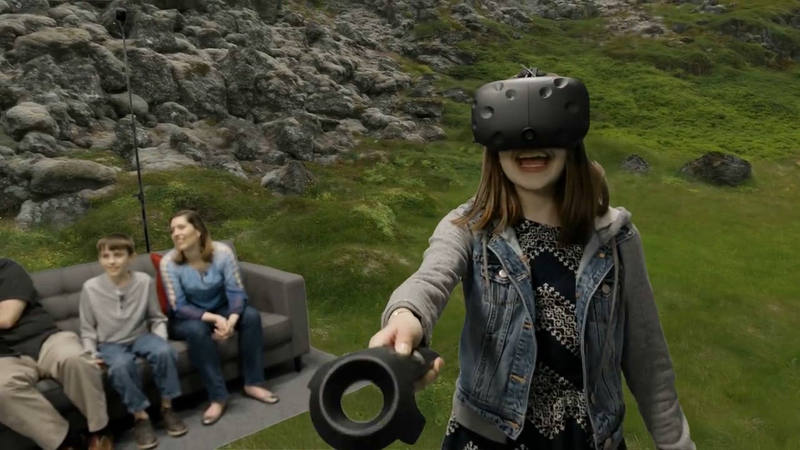 This 3D, Virtual Reality experience will also include games played by today’s children, such as handclapping games with songs based on popular music and film. This work will be a collaboration between archivists and cataloguers at the University of Sheffield, and specialists in VR and advanced visualisation at the Bartlett Centre for Advanced Spatial Analysis (CASA) at University College London. They will co-design these new tools with children and with older citizens who contributed to the original Opie surveys, now in their 70’s. 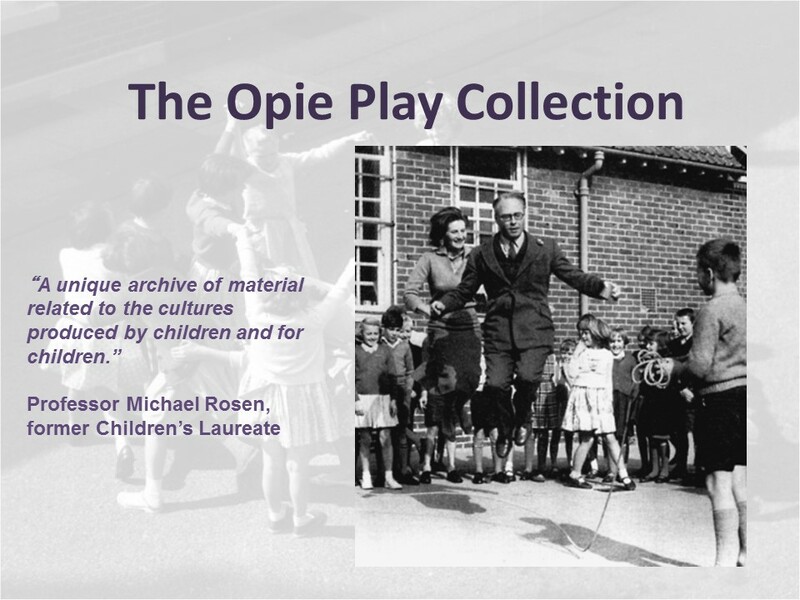 The second approach is to study memories and practices of play, by interviewing and observing the original Opie contributors and children at primary schools which contributed to the original studies. The children will contribute to the research, interviewing each other and the older participants, and filming their own play. 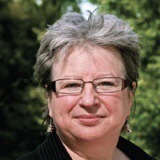 This work will help us understand what play is, why some games survive and others are lost, how physical games, rituals, songs, chants are passed on from one generation to the next, especially from the 1950’s to the present day, and how digital play such as videogames has added to the play repertoires of today’s children. We will also explore what kinds of play exist in different languages and cultures, such as Bengali, Mandarin, Somali, Punjabi and Polish, and how children use play to negotiate membership of communities and a place within them. What we find will feed into the design of the project’s outcomes. The third approach, using the ideas created in the other parts of the project, is to build two experimental playgrounds in regeneration sites in Sheffield and London (the Queen Elizabeth II Olympic Park). These playgrounds will use innovative approaches to playspace and equipment, but also incorporate ‘smart’ objects linking physical play to the historic objects in the archives of the Bodleian and the V&A Museum of Childhood, both partners in the project who will contribute towards the design of the digital tools and resources. 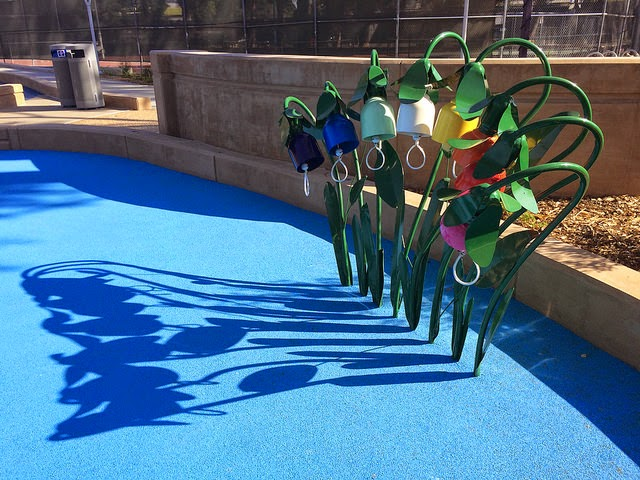 The playgrounds will exemplify ‘mixed reality’ play, combining the physical and the virtual, and linking the play cultures of playgrounds and videogames as they are already linked in children’s imaginations. Finally, the project will hold a Festival of Play at the V&A Museum of Childhood, a free public event, to launch the virtual playworld, the playgrounds and the research findings. 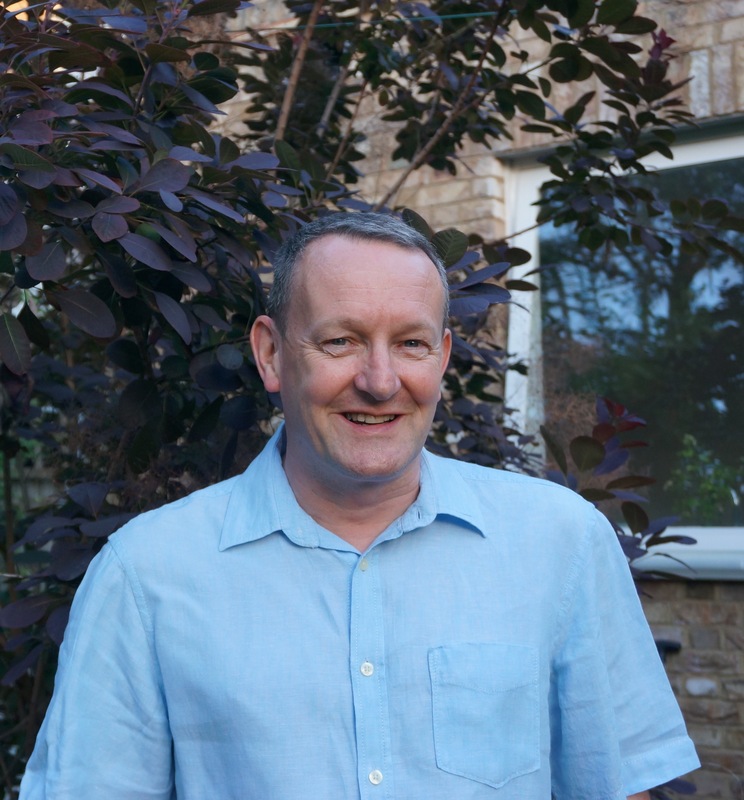 Professor Andrew Hudson-Smith (Co-I, UCL) is director of CASA. CASA has been at the forefront of using digital visualisation in the built environment since 1995, and has built an enviable track record of work in 3D environments and gaming engines, linking them to participatory planning, procedural generation and open data. More broadly, CASA is a centre successful in blending innovation with outreach and engagement with diverse publics and stakeholders. 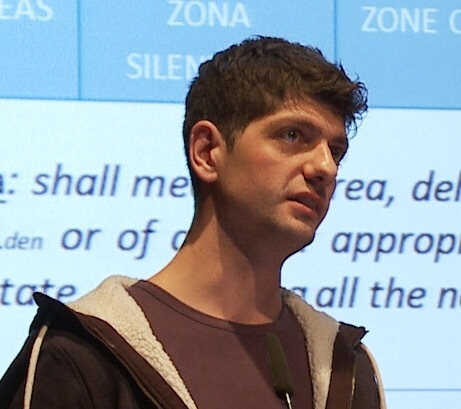 Andy holds a Chair in Digital Urban Systems and is Editor-in-Chief of Future Internet Journal; he is also an elected Fellow of the Royal Society of Arts, a member of the Greater London Authority Smart London Board, course founder of the MRes in Advanced Spatial Analysis and Visualization and the MSc in Smart Cities and Urban Analytics. He is also Deputy Academic Director for UCL East (building the new campus at Queen Elizabeth Olympic Park) and heads up the Smart Park project on behalf of the London Legacy Development Corporation, in association with Intel and the Greater London Authority. Andy will lead on the design of the digital elements of the playgrounds. 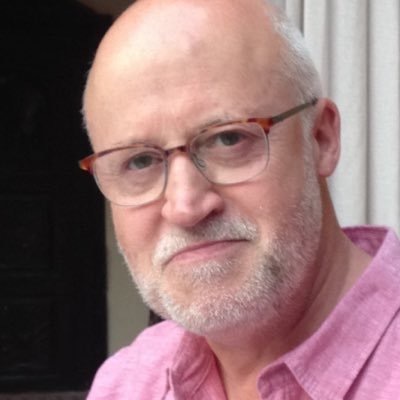 Dr Martin Zaltz Austwick (Co-I, UCL) is a lecturer and researcher at CASA. He is currently Co-I on the EPSRC-funded Freight Traffic Control project, developing novel visualisations to guide the courier sector to co-ordinate to reduce their carbon and energy impacts; and is Co-I on the Survey of London: Whitechapel initiative, a 3-year AHRC project to create crowdsourced mapping of local history in East London. 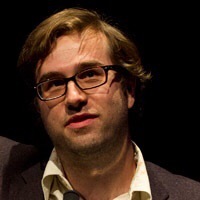 He is an Associate Director at the UCL centre for Digital Humanities, and lectures on digital visualisation and programming. In 2016 he was the recipient for the Provost’s Institutional Leadership award for Public Engagement. This interface between technology, the humanities, and engagement with different publics places him well to support the project activity. Martin will lead the development of the virtual reality game environment. RA3 (Sheffield) – will develop the digital catalogue for the Bodleian Opie archive at the Humanities Research Institute. Project Manager (UCLKL) – will coordinate the sections of the project, meetings, research workshops, the Play Festival, budget management, and preparation for publication. 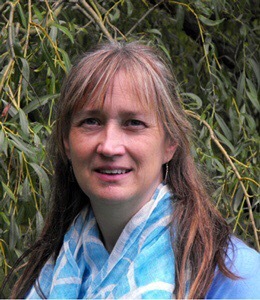 Alison Somerset-Ward Landscape Architect, Community Engagement Officer, Sheffield & Rotherham Wildlife Trust. 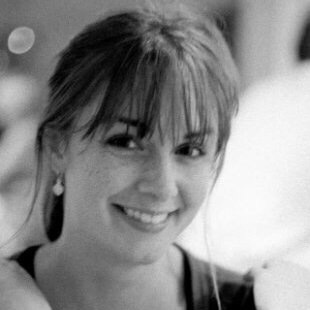 She will work with Helen Woolley on the design of the playgrounds and collaboration with local communities. Fantastic. Such a great project. Thanks Cathy – we’ll keep you posted!